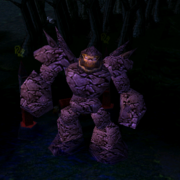 After the Linken's Sphere Rune Bug, there is another bug found in the DotA 6.67c. This time the bug is pretty interesting. You can become invulnerable on Puck if you abuse this bug correctly. However, you need to co-ordinate with your opponent which is impossible but you can do it with your friends. This bug can be game-breaking if it's done right way. 2. Get Tower to hit your Hero. 3. While the Tower hit projectile is in air get charged by Baratharum. 4. Immediately click Phase Shift. i hope in 68 everything is fixed. wew...dominating...dis pretty good..but u have to wait till baratrum chared u.lol? you can pick items with courier and transfer ..
lolz i have tried it not bad.. I Cant understand.. i follow the instruction but nothing happen, what should i do? This bug is surely game-breaking! I hope that IceFrog will fix the bug in 6.68.
we need exp hack pls. Its more than obvious this can only happen 1/1000 times in a non-public game, so basically its just a glitch and if you succed to make it, you are epic. Are the bugs still gonna happen in 6.68?? What if you do this bug with your friend in the opposing team then your friend switches the team. lol how this bugs came to light???? WOA this bug is GREAT!!! Nice, but pretty crappy to do in public games. I only tried to do it with friend 1vs1, we saw it worked, and forgot about the bag... It is pretty booring to play while invournable. i hate bugs like this. it spoil the fun of the game and even maphack. lol Its easy. i was playing puck bugged in pubs they said WTFF..
why is there even a bug like that how did you make it or was it already in the database? i had this bug once but im pretty sure there wasnt a tower hitting me? Its so hard to do that thing cuz you cant even knowing that you are in chargered or not in chargered it depends its so easy to do if its 1 on 1..
just wondering how they discovered all these bugs.